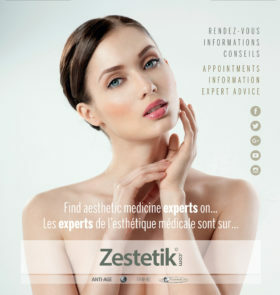 New educational platform for plastic surgeons and cosmetologists founded in city of Kaliningrad, Russia. The first “Baltic Congress on plastic surgery and cosmetology took place in Kaliningrad on September 21-23, 2018. The Congress provided a fortunate opportunity to cosmetologists and plastic surgeons to improve and develop their professional skills with advanced technologies and innovative ideas. https://kimbs.ru/ The participants enjoyed high level of event organization and value of information submitted. The event received strong support from the Ministry of Health of the Russian Federation and the Government of Kaliningrad region. The organizers of the congress were the executives of “VIP Clinic” https://vipclinic39.ru/ – a plastic surgeon Sergey Kruglik and a cosmetologist and plastic surgeon Ekaterina Kruglik. The chairman of the Baltic congress was Natalya Evgenyevna Manturova: MD, the head of the department of plastic and reconstructive surgery, cosmetology and cellular technologies in the Federal State-funded educational institution of higher education – Russian National Research Medical University named after of N.I. Pirogov, the chief non-staff specialist plastic surgeon of the Ministry of Health of the Russian Federation and Moscow Department of Healthcare. The question of experts’ qualification is strategically significant not only for the region, but also for the whole country, and the quality of this education plays a great role. The congress is a unique event focused on the enhancement of experts’ skill level and, as a result, on the improvement of the rendered medical services quality. The event united more than 300 best specialists of this branch from all corners of the world who, on the whole, discussed topical issues of esthetic medicine of the country and this branch with leading experts. Participation in an event of such standards is invaluable experience for participants and an opportunity to get acquainted within several days with innovative techniques, medicines and advanced equipment from the leading global manufacturers which allow doctors to modify a patient’s appearance effectively and to correct esthetic defects. The scientific syllabus included 54 reports on cosmetology and plastic surgery; there were 6 surgeries with a live broadcast from the operating room and a five-hour marathon of live injections. The speakers showed effective techniques in practical work, told colleagues about important nuances of the procedures, analyzed the most difficult and widespread clinical cases and discussed the important changes in the acts regulating the work of this branch. The speakers were 47 eminent experts who gained recognition of professional community at the international level, and practicians who have invaluable experience, understand the importance of professional development and are pleased to share their knowledge with their colleagues. The Baltic congress was organized with assistance of the leading global manufacturers of medicines and the equipment for the field of esthetic medicine who, within the exhibition for participants of the event, presented their last developments. The special attention was drawn by an exhibition of the leading global manufacturers of medicines and the equipment for the field of esthetic medicine where participants could get acquainted with and communicate to the representatives of the companies: “Premierpharm”, “Merz Aesthetics”, “FIJIE”, “NIKE-MED”, “Kaliningrad institute of beauty”, Allergan, “MMS of Group”, “KIT MED”, etc. Kaliningrad welcomed the guests with warm, sunny weather, and the participants could fully enjoy architectural and cultural sights of the western most region of the country. The congress was held in one of the most sign places of the city – the riverwalk “Fish village” located in five-minute walk from the well-known “Cathedral” on Immanuel Kant’s island. At the end of the educational day the participants could get acquainted with tourist routes of the region and visit the world fireworks championship. The end of the event was a gala-dinner with a delightful entertainment program where the participants could exchange contacts and impressions about the event in a friendly and relaxed atmosphere. It’s the first time such an event has been held in the Amber land, but several months prior to its beginning the most part of the tickets had already been sold. Holding the II Baltic congress is a resolved issue for organizers, speakers, partners and sponsors.